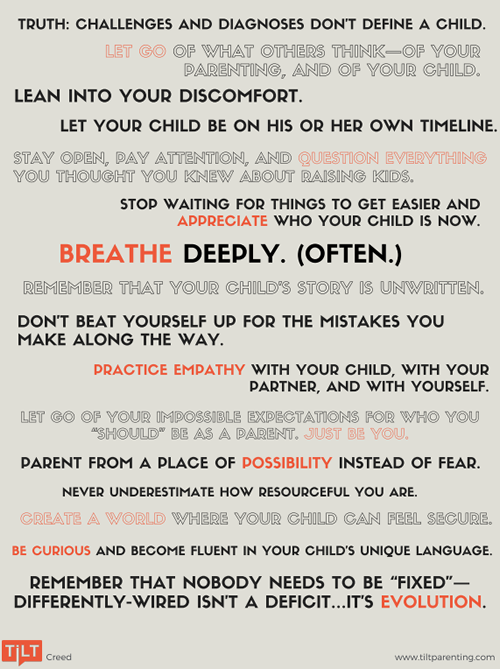 The TILT Creed lays out our beliefs and ideas for how parents raising both differently-wired and neurotypical kids can find joy, peace, and possibility in their experience right now. Or scroll down to watch a video version of the Creed. Do you share in the Tilt Creed beliefs? Click the social media links below to pass along the Creed with other parents!